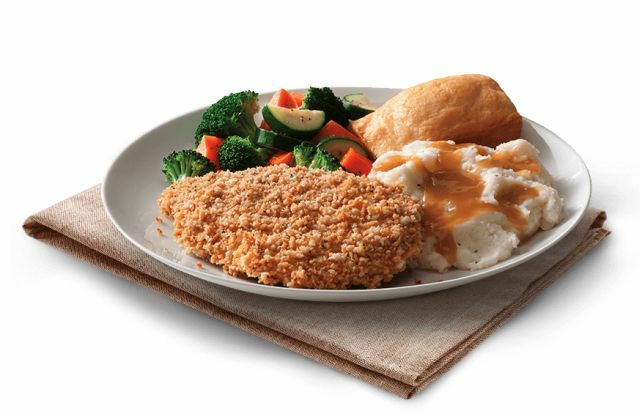 Boston Market introduces new panko-crusted, baked Oven Crisp Chicken to the menu. 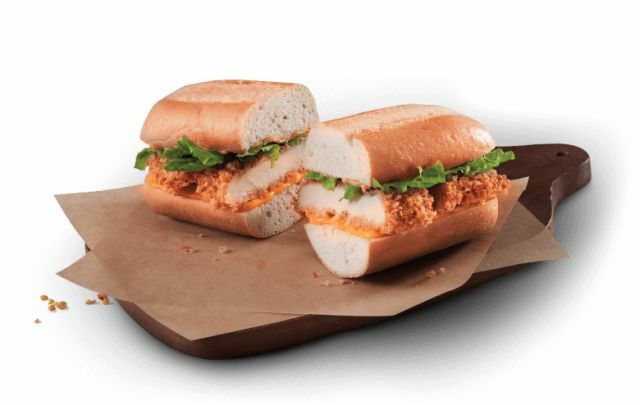 The new chicken is featured in a variety of items including salad bowls, wraps, and sandwiches. The chicken consists of seasoned and hand-breaded cuts of boneless chicken breast that are baked in the oven. Like other versions of crispy-baked chicken, the idea is to offer the crunch of fried chicken without frying. - Individual Meal for $7.99 - Oven Crisp Chicken, two sides, and cornbread. - Oven Crisp Chicken Salad Bowl - Sliced Oven Crisp Chicken, Romaine lettuce, croutons, a three-cheese blend with creamy Caesar dressing. - Oven Crisp Chicken Carver Sandwich - Sliced Oven Crisp Chicken with Romaine lettuce and Sriracha mayo on a white or multi-grain artisan roll. - Oven Crisp Chicken Wrap - Sliced Oven Crisp Chicken, Sriracha mayo, cheddar cheese, onions, Romaine lettuce, and tomato,wrapped in a flour tortilla. A 5-ounce serving of the new chicken is good for 33 grams of protein with 230 calories (60 of which are from fat).